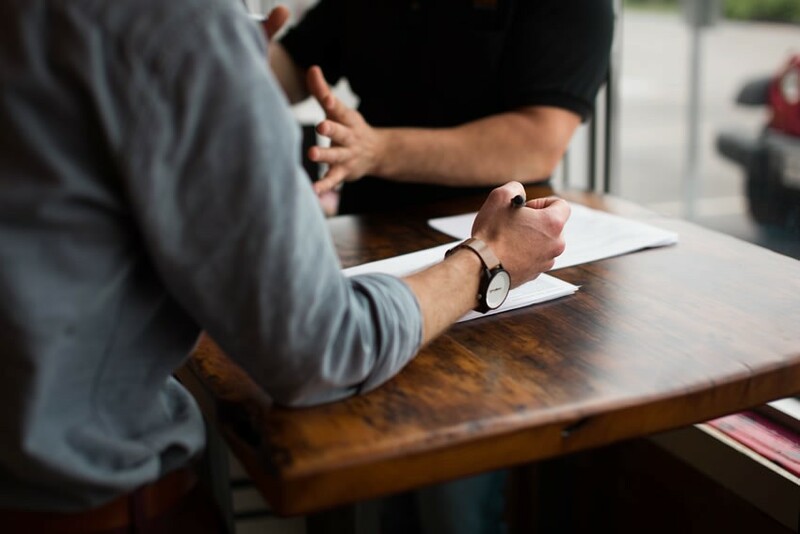 Recruitment is big business for small business, whatever the means by which you go about it - outsourcing or in-house, behavioural assessments or gut-feel, five long-winded interviews or just one snappy half hour with a top pick. A candid chat we had with a senior executive from a national government department recently revealed much to us about his employer’s priorities. ‘I tick the box of the mature aged worker,’ said the sprightly 45-year old. ‘My manager ticks the box of Aboriginal/Torres Strait Islander, and my co-worker ticks the box of graduate.’ It stood out as an unusual paradigm and had me wondering: are they really recruiting on merit, or just by numbers? As business leaders we should be aiming for the right mix - a strong crew of capable and engaged people who like each other and love the brand. Some might say this is a tough call. We agree. That’s why recruiting well is tricky business. Fortunately, the country’s smartest corporate minds are working together on this very subject. 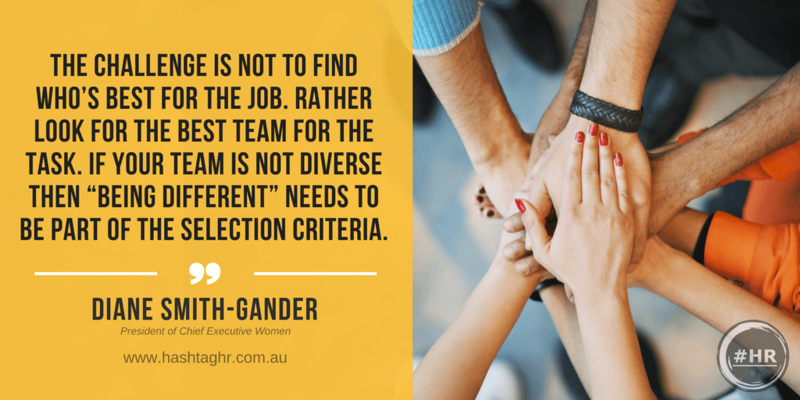 The collective board of Australian Chief Executive Women and the members of Male Champions of Change are a highly regarded coalition of decent, powerful men and women pooling their ideas and challenging the way we think about recruitment and diversity in the workplace. The individuals making up this coalition hold the top CEO jobs in the country. Their latest dispatch to fire the synapses of our business world is a 15-page report packed full of ideas. In the Eye of the Beholder – Avoiding The Merit Trap is gaining traction everywhere – and rightly so. Perceived wisdom, it says, is that we recruit similar, like-minded people in the belief that this creates workplace engagement and naturally cohesive teams. Not so. In fact what we get is a bias of sameness - in gender, ethnicity, taste, thinking - and everything else. This doesn’t lead to creativity, great dynamics and good business. It leads to stagnation. Characteristics and qualities tend to cluster within organisations. When recruiting, we often pick up on this pattern subconsciously and replicate it - without thinking. We might tweak our processes and try hard to recruit smarter, but our un-interrogated thinking limits the talent search, and the same problems manifest within our organisation. This is the Merit Trap. At the other end of the spectrum, a brand which has side-stepped the Merit Trap and recruited smartly, exhibits a culture of diverse minds and inventive thinking. 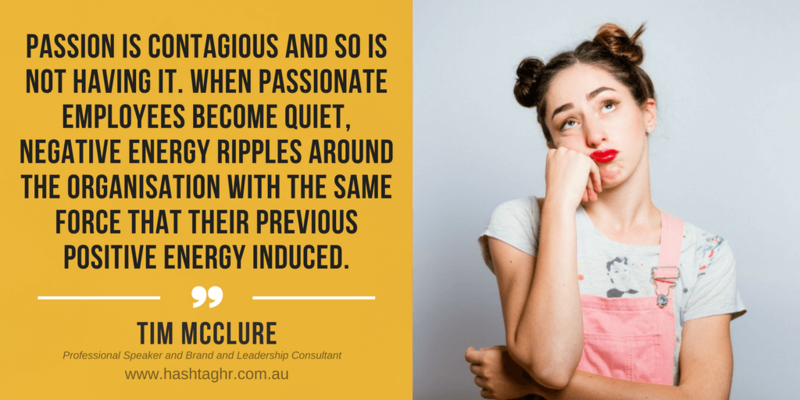 Employees engage with each other not because they’re able to cluster together comfortably with people who think similarly, but because they see their business being stimulated and enhanced by others who think differently. Hard-wiring this new thinking into our strategic planning is a big and brave step – but an essential one. It takes collective acknowledgement at the uppermost level that future challenges might not be answered in the same way as past ones – by relying on the same minds, and the same answers. When our top CEOs voice misgivings about standard recruitment processes, we should surely listen. And if their thinking is different from our own – there’s a red flag worth noticing! With collected wisdom from the uppermost echelons of the corporate world, this is a source worth watching. And if what they’re saying is that different viewpoints, life experiences and professional knowledge within the workplace brings enhancement which is not just a benefit but a core player in our business’s survival and success, that’s a rationale worth adopting. The beauty is that it’s not hard. The thinking has been done for us. It’s the smartest there is, and gives us the best platform to leverage from. All we have to do is follow suit and recruit. Diversely, creatively, daringly. Starting a business involves several exciting milestones – a new office, designing a website, and even making your first sale. Finding the right people to pioneer your team can be one of your biggest challenges though, so here are our top tips to help you overcome this hurdle – and find the talent you need to help make your business a success. Leading recruitment agencies can help you streamline the entire recruitment process – advertising, interviews, reference checks, plus much more. Leaving the business owner free to leverage all of their services, while avoiding costly and time-consuming hiring mistakes. Working with a professional recruitment partner can help you up the stakes on finding the ideal candidate in a much shorter time period. Use an online job posting site and even your own website to let others know you are on the hunt for top talent. Some online platforms even let you post an advertisement for free – so do your research and keep in mind the type of candidates you’re interested in. Aside from going online, take advantage of the various social media channels as well. In a survey published in 2016, it found that 67% of job seekers use Facebook, while 35% use Twitter. LinkedIn remains popular too – both for active and passive jobseekers. Lastly, another great way to find qualified candidates is to network with other business owners and influencers. They may be able to recommend qualified people who are looking for a job or seeking new career opportunities. Find out how interested and passionate an applicant is about your product or service. Choose candidates who show passion - they will be the ones willing to learn the ins and outs of your product or service. Choose diverse candidates. Building a new team is a perfect opportunity to create a positive mindset – one that can efficiently manage business processes, so think about recruiting a team of diverse minds, people who have the capacity challenge. Focus on the candidates’ potentials. Since your business is new, you may find it difficult to attract well-experienced employees. As such, it is best to look into the motivation of your applicants and gauge their desire to be part of your team. Take your time. Lastly, your first employees have important roles to play in the growth and success of your company. So, spend as much time as you can to ensure you hire the right pioneer employees. Your first employees will help set the tone for your business. They will also lay the foundation for the operations and future success of your company. Rarely, do things go wrong when you spend the time thoughtfully build your team! One of my recent posts Diversity in the Workplace - How to Attract The Right Kind of Talent! was an interesting piece that seemed to strike a chord with many readers. The article focussed on encouraging small business owners to keep an open mind when recruiting – to actively engage with potential employees who present special and different abilities. 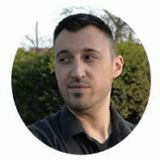 It mentioned in particular those on the Autism spectrum whose mindset may see them achieve brilliance in particular areas where neuro-typical employees would be stumped. A good stereotypical fit for a role is not always the best one. Today’s solutions are increasingly about thinking of diversity and the different skillsets different individuals can bring to a business, including those who sit just outside society’s perception of ‘normal’. With all the interest in this article, it seemed noteworthy to explore this idea a little more. And to share with small business owners everywhere, the value of looking beyond difference to see the true potential of a person’s smarts - what new ideas, fresh thinking and exceptional abilities can bring to any business table. Unfortunately, when applied dogmatically as it often is, that ‘best person for the job’ principle often leads not to creativity, great dynamics and good business, but to stagnation. When recruiting, it’s not unusual for managers and business owners to go through the same process and jump through the same hoops without thinking, replicating the same mistakes again and again. They might tweak things here and there in the interests of recruiting smarter, but un-interrogated thinking limits the talent search, and the same problems often manifest all over again. Three years ago, Penny Andrews showed that autism didn’t hold her back. She became a library graduate trainee at Leeds Metropolitan University, having beaten 200 applicants to the job and proving that different smarts count. "Sometimes I feel people think I should be grateful that I have a job but I'm performing a useful task and doing it well, so they should be grateful to me," she said. The Australian Bureau of Statistics reports enormous growth in the number of people with autism, with data it collected in 2009 and again in 2012 through its Survey of Disability, Ageing and Carers. This represents a vast pool of untapped talent within our communities. 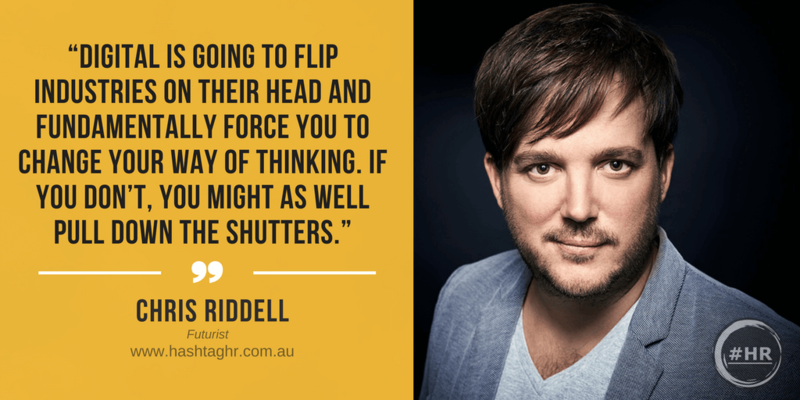 As small business owners we are ideally placed to think laterally, rethink the way we conduct our business and our recruiting, and potentially change both lives and our future fortunes. Autism Speaks has already cemented in some of the groundwork, making it easier for small business owners to embrace new thinking, and access new expertise. Their Employment Toolkit: Employer’s Guide to Hiring and Retaining Employees with Autism Spectrum Disorders (ASDs) is the go-to for any employer wanting to gain further insight and experience in recruiting, hiring and supporting with diversity. As a society, it’s time to be mindful. What makes a difference within any workplace is not just professional knowledge, but different viewpoints and life experience. The enhancement this rationale brings is not just a benefit but a core element in a business’s survival and success. That’s a rationale worth adopting. All we have to do is recruit diversely, creatively and daringly. For both parties, there is nothing to lose, and everything to gain. Standing on our principles here is a matter not of charity or social responsibility but rather the empirical benefit of taking on unique skills and diverse minds. To view the initial article, which sparked over 600 social media shares, click here. Whether you favour baby boomers or millennials when it comes to recruiting, most employers feel some pressure to revolutionise their workplace as new generations seep into the workforce. Today, ‘normal’ is at least three generations bundled together and working cooperatively, making for a truly diverse workplace. The tricky part is not falling back on our perception of stereotypes, when it’s time to recruit again, in how we perceive and subconsciously categorise applicants. Maybe we make judgments without realising it about ear piercing or age, education or lack thereof. Even worse, our shutters come down when we see the ‘wrong’ suburb on a resume, or hear an accent different from our own. 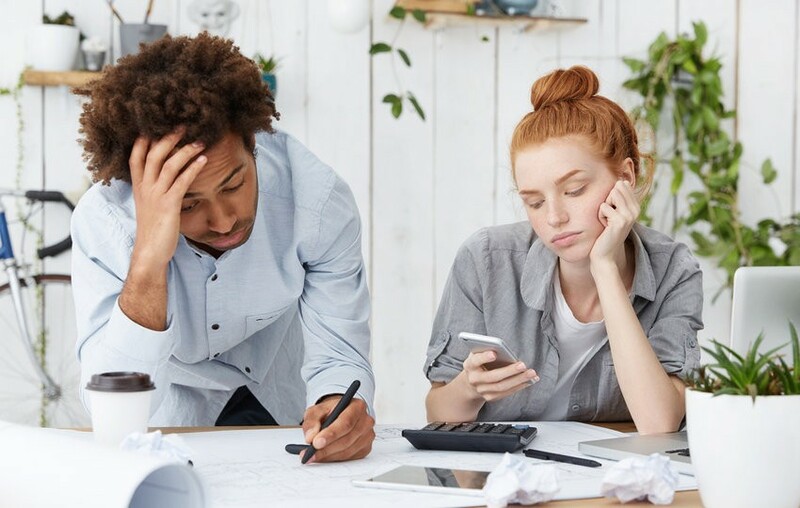 Giving credence to stereotypes and our expectations of them can be damaging, in that it can set unfavourable limits to a small business’s growth capacity. At #HR, we applaud leaders who look beyond stigmas and don’t mind breaking the mould to recruit on merit. Best practice is to create a culture of diverse minds, where employees engage with each other not because they are all the same, but because they see their business being stimulated and enhanced by others who think differently. In such a culture, looking different has little to do with a person’s smarts. Brett Davies, a computer design technician from County Durham in the UK, was the victim of just such misconceptions. After being turned down for hundreds of jobs, his hidden genius for all things visual finally landed him a two-week trial at Peacocks Medical Group. Coincidentally, the BBC was filming a documentary series featuring Davies at the time. They recorded his journey, in securing the trial position, and then landing his dream job – by solving a technical problem that had defeated every other employee who’d tried. Stereotypical perceptions are often unfounded, such as those which the phrase ‘Autism’ inspires. To be a progressive business owner in progressive times, it can pay dividends to front up and get some understanding of how best to leverage qualities that are different from our own. 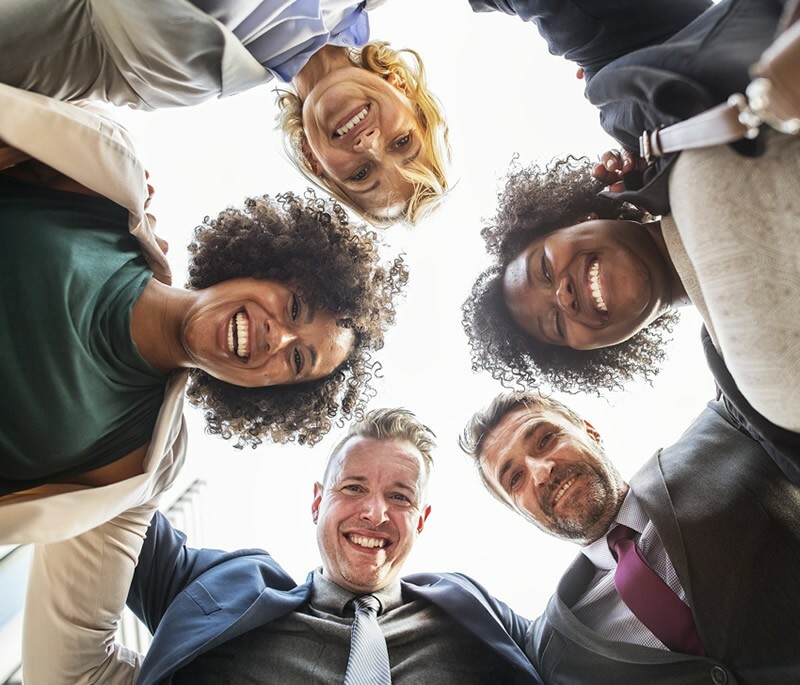 De-stigmatising and challenging stereotypes is proving beneficial for many companies, as their willingness to break ground brings them not only enlightenment, but profitability – and a highly motivated and fulfilled workforce. Research by Autism Speaks suggests that companies employing people with autism consistently give reports of extremely dependable and loyal employees, who follow company rules, arrive on time and are absent far less. Other strengths mentioned include intense attention to detail and a desire to get things right – perfectly right. One employer noted that the turnover rate of his employees with Autism was one third of his neuro-typical workers. Challenging the status quo – although the status quo is fluid these days - takes grit, for sure. 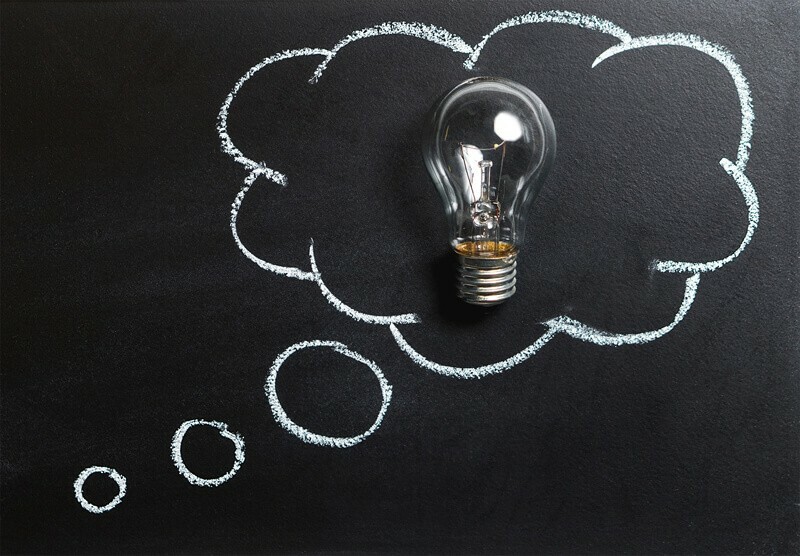 But all the research suggests that for those running a small business in today’s market, thinking openly and diversely offers many opportunities. Employers who are on the hunt for employees with specialised skills are increasingly wise to the benefits of diverse minds. They remember that no-one is perfect and believe that looking beyond a stereotype can bring something truly unique and highly valuable to a workplace. 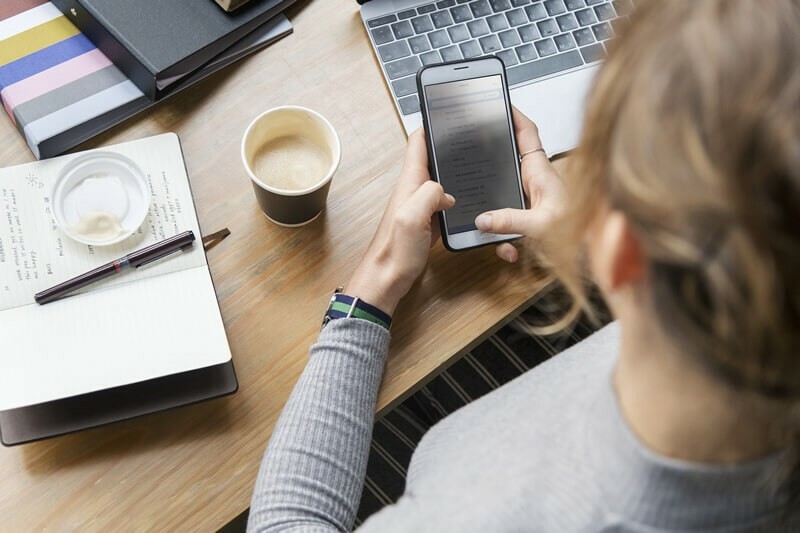 The importance of social media in the recruitment world is ever increasing and a report by Adweek discovered that almost 92% of all recruiters now use social media to source the best candidates for their job vacancies. Building and populating a talent pool via social media can be a great way for you to jump the skills gap and interview and recruit quality candidates. Unfortunately, this is easier said than done. Luckily we live in the digital age and social media has eased up the talent acquisition process. This online space has made it much easier for recruiters and to attract and engage good candidates as well as making better candidate matches with their job vacancies. Focusing your searches on the correct social platform/social networks can make all the difference between an endless search for the right candidates and a well-built talent pipeline. You can also opt to use cloud-based recruitment software to better manage the talent pool. An instance, Healthcare professionals are more likely to be chatting about new medical regulations on LinkedIn whereas graphic designers are much more likely to focus their time on visual-focused social media platforms like Tumblr and Pinterest. It is best to do your research and find out where your target candidate audience spend most of their online time, so you can focus more of your efforts on the correct outlets according to your candidate requirement. Most of the tech-savvy millennial generation search for their information online so if you want to source the best job candidates then you need to harness social media to effectively display your company’s corporate values and job vacancies. It is best to first create an active online presence first and establish your authority in your respective field. Try and keep your customer’s and potential employees in mind when building your online social media presence. What your brand represents has become more important now than ever before. Most millennials out there are looking for an emotional connection which means that they want to work for the right company without compromising on their beliefs and ethical values. You can create a social media presence and use it to depict your company beliefs and ethical values in the best possible light. Social media platforms provide an opportunity for you to recruit new employees through live sessions online. Screening employees has never been easier due to the possibilities that social media offers when interviews and testing are concerned. All you have to do is type out a message to your candidates and wait for them to switch on their cameras and start conducting your interview. There is no need for travelling, complicated appointment times or even recruitment offices. Once you have established your company’s social media presence and authority, you can start posting your jobs ads on your social media platform which will get candidates to visit your career site, but make sure that your site is both computer and mobile friendly as most job applicants scroll through job openings through their phones. 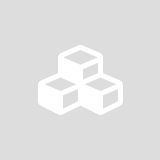 You can also further go on to add testimonials of current employees as well as getting employees referrals, you can take help of your current employees to do this. The benefits of using social media in your recruitment process is a part of an ongoing revolution in human resources. So, use it with a good strategy to get the most out of it! 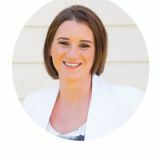 Author Bio: Kelly Barcelos is a progressive digital marketing manager specialising in HR and is responsible for leading Jobsoid’s content and social media team. When Kelly is not building campaigns, she is busy creating content and preparing PR topics. 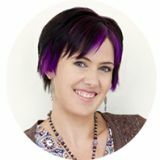 She started with Jobsoid as a social media strategist and eventually took over the entire digital marketing team with her innovative approach and technical expertise. Small businesses face a number of challenges with recruitment, and often, it’s business owners - people like you - who are expected to have quick and sustainable solutions. While there are rarely overnight solutions to grand problems, there are easy-to-implement tactics which can radically improve your recruitment processes. It starts with understanding the challenges faced by Australian candidates. 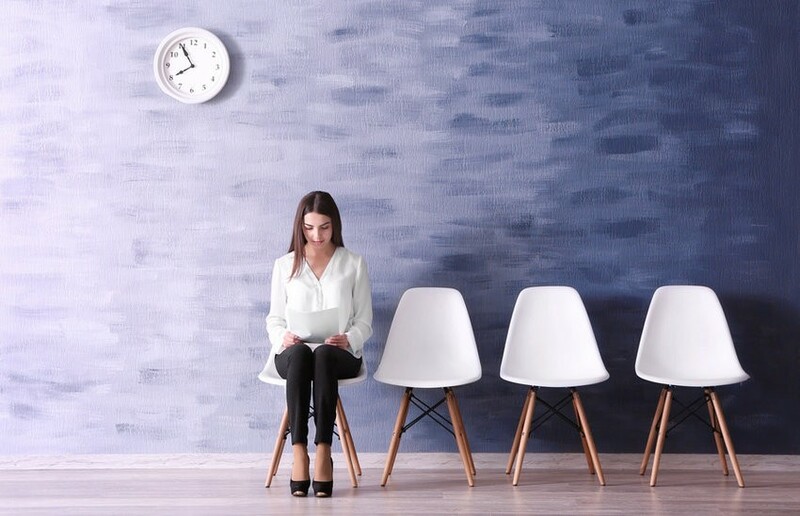 Global recruitment firm Robert Half recently revealed a long list of frustrations experienced by jobseekers, including slow feedback about their application, delayed decision-making and poor communication from prospective employers. The research also revealed that 47% of jobseekers apply for ten or more roles at the same time. Around 73% regularly receive multiple job offers, and 38% “often” or “always” get more than one offer. As the proof is in the pudding, it’s time to improve your recruitment strategy and secure your next top talent. For small business recruitment, networks are everything. It’s critical to foster existing relationships and build new connections with potential candidates from your industry. Be present at sector events, get active in online forums, offer rewards for staff referrals, and use any available tools to help you grow a pool of relevant and engaged candidates. Communicate regularly with this audience of potential candidates, providing them with information—perhaps in the form of a monthly e-newsletter—on why you’re a competitive and attractive employer. Send them updates about your employee perks and professional development initiatives, and of course, any available roles you have going. Word of mouth and reputation still play a substantial role in attracting top talent to organisations, so ensure your small business is visible to relevant jobseekers ready to seize their next opportunity. A sure-fire way to recruit and retain top talent is to offer employees unique working experiences. As a small business, you may not have a gym on site or be able to provide daily lunches, but you can still make your organisation a sought-after and competitive workplace for the most capable candidates. Perhaps you offer flexible work arrangements and the ability to buy extra leave? Maybe it’s your renowned mentoring program that’s appealing to talent in your industry? And don’t forget about regular access to senior leaders in a small business like yours! Remember: making your organisation attractive to top talent needn’t cost an arm and a leg. Great employee initiatives are about respecting and engaging people, and ensuring candidates in the job market know about that. Get creative with what you can offer at your small business to inspire the best people to apply. This is your one-stop shop for relevant candidates. It’s as simple as the name suggests, providing a platform where business owners can browse for suitable candidates based on their unique and growing recruitment needs. After selecting candidates, business owners have the option of contacting the agency to set-up a meeting with them. It’s that simple. Whether you need a finance manager with SAP skills or an IT consultant from Queensland, this browsing tool cuts through to help small businesses surface the most relevant and suitable candidates from all across Australia. You can also search by technical expertise, language skills and years of experience to find the perfect candidate for your small business. Candidates are usually already vetted by the agency and are awaiting the next exciting step in their career journey. Social media can significantly improve the efficacy and reach of your small business recruitment strategy. It provides a platform to talk generally about your organisational values, about your projects and most importantly for business owners, about your people, and your rationale and success in securing the best. Through social media functionality such as tagging, short-form content and direct messaging, you can communicate with candidates and industry leaders in a straightforward and highly personalised way. Don’t delay—now is the time to commit to using social media to support effective recruitment at your small business. As business owners, you’ll always be required to be resourceful and to adapt to change. To best handle change and ensure you retain and inspire the best people while doing so, you’ll find yourself on a perpetual journey of discovery and learning. Seek out innovative and improved ways to manage your recruitment strategy at every turn. Read widely, attend industry events, undertake courses and see how other HR managers are handling challenges at their small businesses. While not always the easiest part of your job, this can certainly be one of the most rewarding. Follow these tips to ensure your small business invests smartly in its people and workplace. Because it’s time for a brilliant, stress-free recruitment strategy. 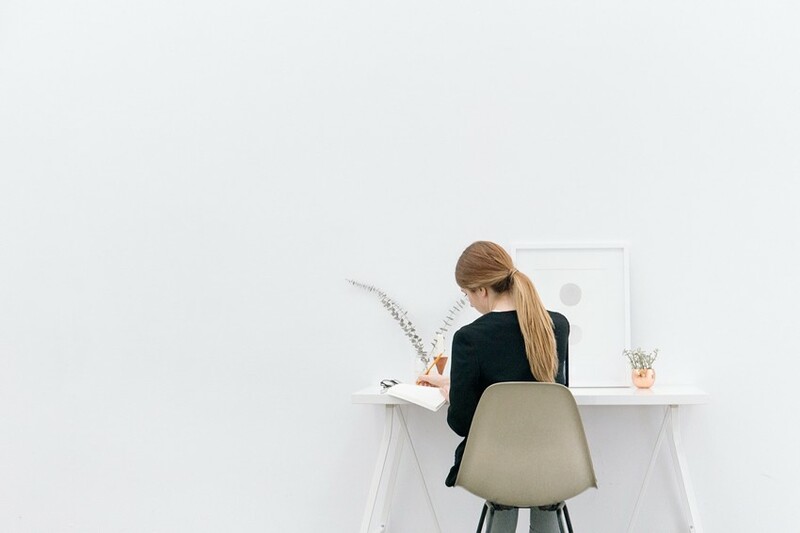 We think about office design a lot at #HR. And we’ve noticed that small business owners tend to shy away from innovation and creativity. What kind of impression are you creating in your space? Research about visual imagery in content marketing has us all convinced of the power of visuals. An active consumer will be swayed to your brand once they are visually stimulated. If what they see and feel is compelling, they will remember you. Best of all they will share their experience with others. In her article ‘The Power of Imagery in Content Marketing’, commentator Savannah Louie cites the findings that people remember just 10 percent of what we hear. What we read is only incrementally better – we remember 20%. There’s a lot of waffle being written, and read. But of what we see and do we remember a staggering 80 percent. So doesn’t it pay to design the space your people see daily, where they do a great job for you with this in mind? Imagine the scene through a new recruit’s eyes. They arrive at your office to find a fit-out dragged into this millennium from the ‘80s. Mix-and- match furniture, clunky partitions and colour schemes far from on-trend. How is this making your recruit feel? Excited to be joining you? Take the scales from your eyes, we say! And get visual! Your target recruitment pool – the millennials - will be less than interested in such a space. Depending on your market segment you might be limiting your sales capacity too if the hackneyed feel of your surroundings extends to your branding. Sure, the Baby Boomers may still be satisfied with your traditional approach. That’s because it fits them like a tatty old slipper. But Gen X and the Millennials may not even step through your door, let alone consider a good position you have vacant. Great news! It doesn’t take a big budget to make simple changes and turn things your way. It’s about planning first and executing smartly. It takes imagination and creativity. And that one clever individual who knows what they’re doing, to pull it together effectively. In small business your focus is so often on operations - building, marketing and delivering product. The business grows, time passes and market needs are catered for. All good. More business means you recruit more staff. And there’s the rub. Because replicating success doesn’t necessarily mean replicating your people. Unlikely though it sounds, to build on the success you’ve achieved so far, you need people who think differently from you. There are typically six different ways of solving a problem and they’re all equally valid, says Juliet Bourke, Partner of Consulting at Deloitte, in her Ted Talk on human capital. It seems we each think in just a couple of those ways. A staggering 93% of those surveyed in Bourke’s research said that Outcomes and Options were the factors most important to consider when making a decision. That left the four remaining factors of People, Process, Evidence and Risk deliberated by a mere 7%. This is dangerous stuff, says Bourke. If you’re sketchy on Process, People, Evidence and Risk, you ask fewer questions about different ways to solve problems. You listen less when someone gives you an idea that’s different. And frankly, you may not care. Even more worryingly, she says, 75% of senior leaders who were surveyed focused entirely on Outcomes and Options, at the expense of the four other vital factors. Bourke points to leaders and thinkers who actively engage with people whose perspective differs from their own. Obama, President of a world superpower. Warren Buffett – the world’s most successful investor. Charles Darwin, father of evolutionary theory. We should learn from these guys. Because whatever your politics, none of them are Muppets. Bourke suggests that for business to be smarter, it’s vital we don’t give in to the ‘bias of sameness’ when recruiting. Don’t clone your point of view. Do something to rebalance the conversation. When it’s time to recruit, think differently. Think laterally and smartly. Diversify. Recruiting differently will not cost you any more. It simply requires you to have an open mind. And if your craft is not recruitment, ask for help. Don’t expect to be able to do it as well as a specialist - outsource! Imagine you’re getting married. How did you ‘recruit’ your spouse? Did you go looking for someone with a Proven Experience in Breadwinning, and a Degree in Neighbourliness with Honours in the Politics of the Bedroom? Or did you team up organically with someone you liked? Their ideas, life experience and world view was different from your own, but something about them struck you as right. You connected. And they passed the friends test. Okay we live in dangerous times full of tiger mothers and speed dating and some people go at marriage with a checklist and will answer yes to Option One. Whatever you do, take a broader view when recruiting for your business. Recruitment. That word sends shivers down the spine of many a small business owner, and an echo ricocheting through the echelons of big business. The right recruits create the culture of your workplace, for better or worse. It’s like a marriage. So get it right! Many employers see recruitment as a deviation from their core business. We say it goes to the heart of your brand and should be given your fullest attention. Outsourcing is an attractive option, but daunting once you calculate the agency fees. Although in-house recruiting costs in time, once absorbed it can be preferable to a jaw-dropping invoice. Those in the know use a handful of golden strategic moves. Become the candidate. Search the internet as if you’re the job seeker. Key in the job title and location, and use the data generated to kick start the process. The top search results give you the best advertising sites to use, similar vacancies, and highlight variances between your job and the rest. How does your role or company differentiate itself? What will the best candidate be looking for? Are you offering it? And how could your job ad look and read better. Be yourself. The standout skill in recruiting is your own ability to create a comfortable environment. It gives the candidate every opportunity to be themselves and talk candidly. Prepare the room for a conversation, not a briefing. Desk and chair placement is paramount - don’t sit behind a desk! If prescribed questions are your thing, write them down and use them. But do so in a relaxed fashion and be comfortable with moments of silence. These prompt gold nugget moments – when the candidate fills the space by talking unscripted. “Just write out some questions and ask them." One of the biggest mistakes in conducting an interview. There are many HR and recruitment agencies offering e-books full of tips and templates for in-house recruiting and best practice principles. Government agencies have specific on-line resources, particularly for small businesses. In Australia the Fair Work Ombudsman provides many useful templates and guides for the lawful employment of staff. 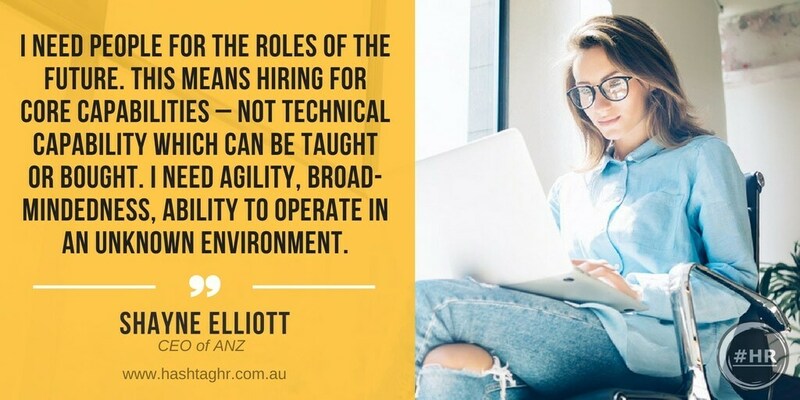 The challenge is finding appropriate recruitment tools and techniques for you, closing the gap between your offering and best practice principles. Great candidates are attracted to the company which appears most professional. Don’t let them slip through the net due to simple oversights here. Hire on merit, not technical ability - it’s a classic mistake. Anything technical can be learned – software skills, the nature of your widget manufacturing. What you’re looking for is not a background in widgets. It’s the attributes which will be a great fit with your team and bring something new and wonderful to the table. A great team player; a lateral thinker; and if it’s an executive, someone who genuinely gets on with everyone, from the shop floor to the Boardroom. Hire on merit. That doesn’t mean someone who thinks like you. It means someone whose thinking you like. Hire the person you’d like to spend time and generate ideas with. Hire the person who speaks from the heart, to yours. With Microsoft, Google and IBM racing to create the first human-like robots fired by artificial intelligence, we could be forgiven for thinking that The Matrix might be upon us! So are robots really going to take over the world? And are we in the business world ready for it? We’re told that Artificial Intelligence will supersede cognitive reasoning and that we should prepare for a hostile takeover of jobs, as robots are brought in to replace real people. It sounds over the top - but one look back at even the most recent of history books and it’s clear we’ve been here before! Robotics have been highly instrumental in the record high number of redundancies made within the manufacturing industry. In the United States alone, an astounding five million manufacturing jobs have been lost this millennium, despite the steady increase in production by 2.2% each year since 2006. In a recent Australian article by Business Insider, technology is predicted to be the key to 40% percent of job losses by the year 2030. The roles identified as the highest risk are accommodation and food services (86.7%), transportation and warehousing (75%), retail trade (66,6%) and administration and support services (62.2%). Technology experts at the Massachusetts Institute of Technology have even said that some transport companies won't need to hire humans to drive 18-wheelers - they'll be driving themselves by 2032. Sounds far-fetched, right? Many believe that these statistics will have more impact in industrialised countries, that they will open the door for more manufacturing and production off-shore where labour hire and overheads are less costly, with high cost back home in terms of the labour force headcount. 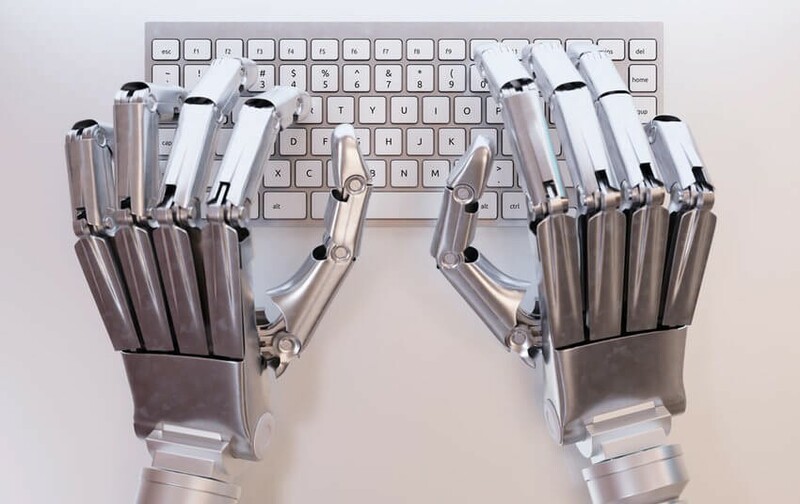 Whatever, the future brings for the living, breathing workforce of today, robotics are on their way and as business owners and employers, we’d be smart to start thinking about the ways Artificial Intelligence will infiltrate our industry. When HR and business leaders in the Principality of Luxembourg were polled on their readiness to handle technologies to support digital innovation, only 35% could say they were capable enough to switch. 70% agreed that it was important and 33% had already taken on some innovation already. Being ready to join the cohort in the business world who will take the lead requires a sophisticated strategy. Researching workforce trends and industry innovations, and keeping your management and workforce informed is only the beginning. Transforming our business model to maintain cohesiveness and productivity while we invest in and implement this new technology are first steps to look at. While we jest about The Matrix, we know that today’s machines aren’t the Hal 9000 that Kubrick created in 2001: A Space Odyssey. Robotics and automation remain subordinate - to the people like us, who program them. Let’s take one of HR’s most significant tasks as an example: recruitment. It’s forecasted that scanning resumes will become automated. But the programming of automated services that do this task will still need to be written, coded and put in place - by us. Determining the right skill set, experiences, education of the potential recruit, and writing the algorithms to calculate their potential, will remain a human element. Where the technology will be transformative, however, is in its potential to transform our discussions. Rather than sifting through the overwhelming load of administrative tasks involved in recruitment, we will outsource this to automation and spend our human time instead conducting meaningful discussions about the true attributes required for the job. Time and resources can then be invested into creative recruitment and recruiting on merit - considering candidates who may have otherwise been dismissed because of bias or stereotypes. As a result the collective, not the machine, will have the capacity to better direct our human resources, making the right choices thoughtfully, carefully and thoroughly. What we know for sure is that Artificial Intelligence is on its way, in every industry. It is part of our future economic growth and the development of every business, big and small. Now is the time to begin our thinking and strategy transformation, considering how innovation may help your business, but most importantly how will it change the way you do business. From the people you employ, to the jobs that they do! Recruitment and the legislation governing it is now one of the most complex areas in which a business engages, and it’s vital to get it right. Twelve months ago, Senator Derryn Hinch made an adjournment speech in Australian Parliament, in which he publicly named a convicted child molester who was employed at McDonalds. His announcement triggered a chain of events that prompted an investigation into the food chain’s recruitment process – and as a result of the revelations, McDonalds commenced compulsory criminal checks for all applicants over the age of 18. In Australia, some industries are legally required to conduct police checks under legislative or regulatory frameworks for registration, licensing or employment purposes. And some of these occupations may include, but are not limited to, lawyers, community care workers, teachers, the police, correctional staff, taxi drivers, financial brokers - you get the drift. There are many other industries – such as iconic fast-food chains, walking a tightrope in this area. Because while more and more employers choose to conduct criminal history checks as part of their own risk mitigation strategy, it isn’t compulsory. Under the Human Rights and Equal Opportunity Act 1986, the Australian Human Rights Commission (AHRC) has the power to investigate workplace discrimination on the grounds of a person’s criminal record. According to the guidelines provided by the AHRC, whether or not a criminal record is relevant depends on the inherent requirements of a position. Where an individual’s criminal record prevents them from performing the inherent requirements of a job, discrimination is unlikely to be argued. So, if a prospective employee is found to have prior convictions that prevent them from working in such an industry, an employer is free to refuse employment for this reason. And then there are some other types of pre-employment checks that can be risky business from an evidentiary perspective. The burden of proof rests with the employer to ensure that criminal history checks are only conducted when they’re directly related to the inherent requirements of a role. When it’s not - and the employer decides that the candidate is not right for the role, they need to be very clear of their reasons behind their decision. And here’s where the risk lies. Proving that a candidate is not offered a job because of reasons unrelated to their criminal history may be complex - and verge on discrimination. And depending on your business’s location and jurisdiction, the laws can differ accordingly. Best practice is knowing the regulations in your region, and then putting appropriate compliance system in place prior to implementing any type of pre-employment screening. In the case of McDonalds, Hinch’s argument was the fast food chain’s failure to recognise any alignment between an applicant’s criminal history and the inherent requirements of the positions they offer. McDonald’s eventually changed their processes - but it has been at an unmeasurable cost. An applicant should not automatically be dismissed because of their criminal record if the disclosed criminal record is irrelevant to the intended role. Actions like this may expose a business to claims of workplace discrimination, as stipulated under the Australian Human Rights Commission Act. If you have any doubts, contact a professional who can support you through this process. Look for a consultant with the right expertise, a thorough knowledge of best practice and the legislation governing it. Get the right advice first and avoid making any on-the-spot decision. Do what’s right for your business, your employees and your consumers! What takes forever but can kill your productivity overnight? Hiring the wrong recruit. It sounds like a bad joke, doesn’t it? But those who’ve experienced the results of bringing the wrong person into the fold, know that it’s anything but! There can be a number of reasons why an employee is not a good fit for a company. It could be due to a poor skill set that was misjudged at interview stage, or a personality clash. Perhaps they turn out to have a lack of drive or ambition and act like a wet blanket on your goals and your team. Good recruitment, even when outsourced to experts, isn’t fail-safe, despite our best efforts and intentions. The best recruitment takes time and careful planning. If you’re lucky enough to have struck gold and there’s a pool of good candidates to choose from, you’re smart to do the job well, and carefully. When things go wrong and the appointment turns out badly, it’s not just a disappointment, it’s a waste of time and effort. Plus, it can have a ripple effect through your workplace and affect productivity and morale - the backbone of a good business. This is something it pays to get right. 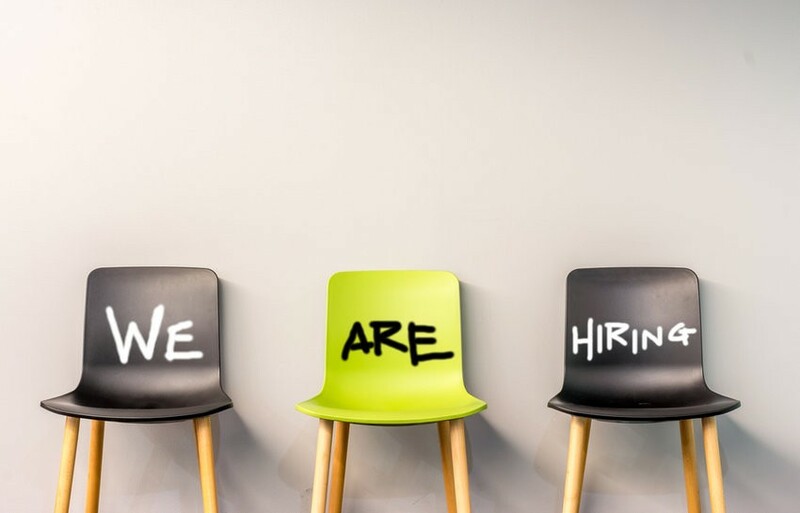 In a study released by global employment firm Robert Half, in which two thousand chief financial officers were interviewed, 95% percent of respondents said a poor recruitment decision impacts the morale of the team. Supervisors spend on average 17 percent of their time managing poorly performing employees. Sixty percent of recruitment managers report that bad recruits don’t get along with co-workers. Forty-one percent of recruitment managers estimate the cost of a bad recruit to be in the thousands of dollars. It takes five weeks, on average, to fill a staff-level position and over seven weeks to fill a management position. The statistics are telling. It’s clear that recruitment catastrophes can change the culture of your workplace and be a significant burden on your bottom line. In Australia, employers can appoint new starters under the terms of a probationary period. This provides business owners with the opportunity to assess their fit for the role and the business. The employer can decide on the length of the period. It can range from a few weeks to a few months at the start of employment, and should be written into all employment contracts. During the probationary period, there’s a chance to review the employee’s performance and provide constructive feedback. This gives both parties the best chance of building trust, maintaining a successful partnership – and getting on with the job in hand. However, where a new employee is not suitable for your workplace, letting them go during their probationary period is perhaps the best option - and the most straightforward. This must be done lawfully, so if in doubt, err on the side of caution and get professional advice first. Persist! 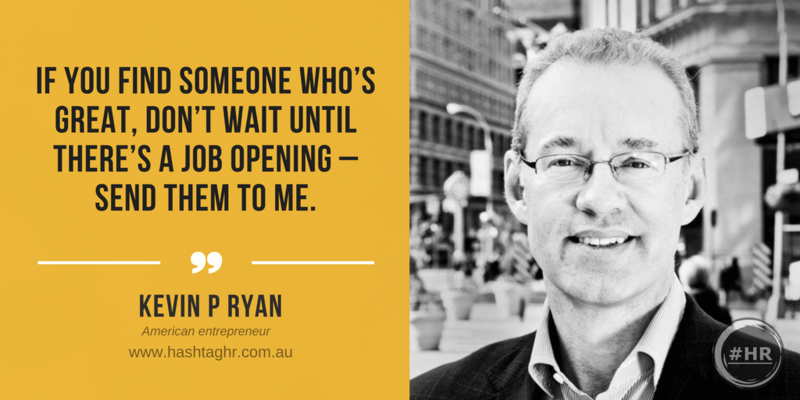 Recruit carefully until you find the right person for your team - and your business. It will be well worth your efforts for your business’s longevity. In the meantime, the protection of a probationary period is there to help you. In business we’re so focused on operations - building, branding, marketing and delivering. One things leads to another, and the business grows – great! More business means you recruit more staff. And there’s the rub. Because replicating success doesn’t necessarily mean replicating your people. Getting the right recruits in place creates the culture of your workplace. So it’s clever business to be strategic, know exactly what you’re looking for, and how to interview to get it. Believe it or not, the last thing you should do is recruit someone who thinks just like you. Find someone who brings different thinking to the table but who is also a great team player, and genuinely gets on with everyone. That’s more likely to result in the robust collective skill set you need to carry on with that healthy growth and development. Here are some tips to help you single out the best candidates. Jotting down a few random questions and hoping for a wonderful outcome is unlikely to cut the mustard. There’s nothing wrong with prescribed questions. Write them down and use them! But be flexible – go off piste and improvise occasionally, it’ll make you seem more human, and it keeps you thinking too! Moments of silence can be a good thing. They can prompt ‘gold nugget’ moments – when the candidate fills the space by talking unscripted. This provides you with the chance to discover behaviours and experiences that may not have revealed if you had kept talking. Ask questions that draw out the behavioural type of the person sitting before you. Past behaviour is usually an indication of what future behaviour will be like. When you ask about specific tasks or real life experiences, you’ve got a better chance of the understanding how the candidate might react to workplace situations under your roof. Describe a time where you have gone out of your way to help a customer. What did you do and what was the result? Can you tell me about a time when you’ve been around people that you really didn’t like or you just didn’t want to deal with? Describe your worst example of this and how you made best of the situation. Tell me about a time where a customer did not accept the information you gave them and you had to explain it in different terms. Describe a time where you took over a difficult client. What did you do to ensure the relationship ran smoothly? What made a difference in these circumstances? It might sound like an odd suggestion but when you’re interviewing a potential new starter, make sure you’re at your best. Arm yourself with a clear mind so you’re fully on the ball and don’t make a costly mistake. If only he’d been thinking more clearly that day in the oval office with the cigar. Don’t make an error of judgement that will come back to bite you. Being mindfully present during an interview means you can chat naturally - and look for non-verbal clues - the subtle nuances of behaviour that start in our subconscious and emerge to give away so much about us. 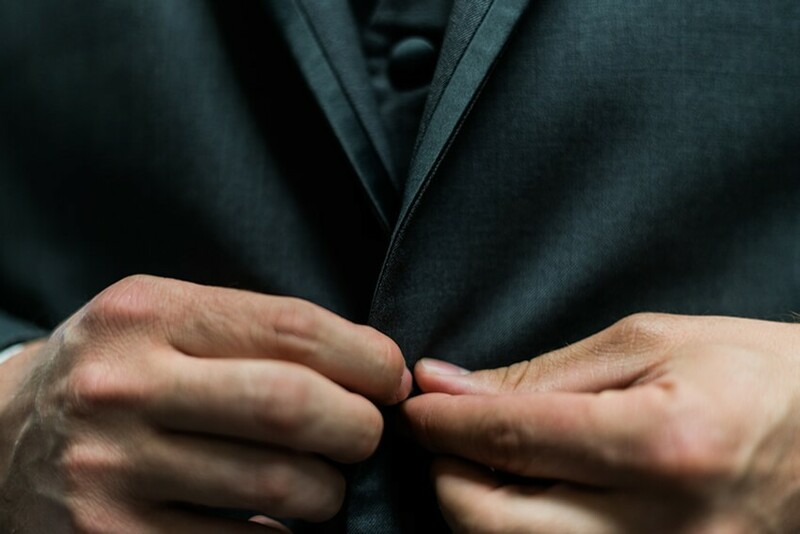 Nikoletta Bika, researcher and writer at Workable, gives some specific pointers to use when reading body language during an interview. OBSERVE EXTREME BEHAVIOUR: Colourful quirks can make the workplace better, but be cautious about other extreme behaviours - constantly checking a phone or avoiding eye contact. SPOT THE DIFFERENCE: Look for any changes in movement or posture - is the tapping foot responding to an uncomfortable question? CONNECT THE DOTS: One isolated gesture might be a one-off, but if you see repeated behaviours that all say the same thing, listen to your instincts about them. ASK AWAY: If you pick up on non-verbal clues that suggest an interesting or off-the-wall response, or perhaps withheld information, don't hesitate to ask follow up questions. Good recruiting is simple and straightforward but also smart. You don’t have to impress with fireworks, just be well prepared and professional. Know in advance what attributes you’re looking for – find a great fit for your team, and bring something new and wonderful to the table! Okay, so Aesop was an ancient Greek story teller rather than leader of a multi-national conglomerate. 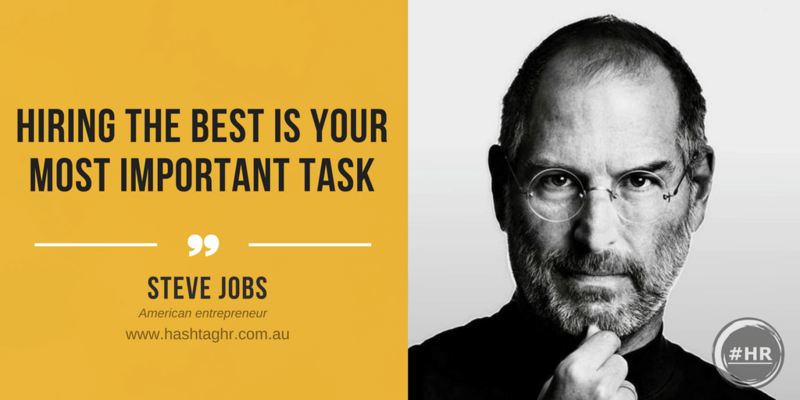 Even so, his words resonate with us in the business world today. That’s because we know, in the deepest darkest corner of our corporate hearts, that they’re true. The tricky part of management is the capacity to inspire, engage and teach resilience. Leadership doesn’t spring from one single quality. It needs a bucket full of authentic attributes for a standout leader to, well, stand out. But one or two things are key. In a previous blog, Virgin says get friendly. So let’s get friendly!, we looked at a very simple but effective leadership attribute. Friendliness. Let’s keep things amiable, and look at the power of kindness as well. Linda Kaplan Thaler and Robin Koval made it to the top of the advertising industry by means of a simple but powerful philosophy: it pays to be nice. They believed, contrary to current wisdom, that nice people finish first. They wrote about it in their book, ‘The Power of Nice: How to Conquer the Business World with Kindness’ and continue to campaign on the enormous impact of small gestures. They cite six powerful principles for engaging employees and stakeholders with niceness. Here are the two which stand out to us. Thaler shares a personal story of a deal she secured - $40million worth of new business. The source? An act of kindness to a junior colleague 25 years before. Just a simple act, in a single moment, created a significant and lasting memory for this person. Over two decades later with their careers having moved in different directions, they sought Thaler out. Ultimately because they knew no better person to trust their brand too. Kindness has to be authentic, and you will know when you mean it, and when you don’t. What’s more, so will the person you’re dealing with. Our clever selves already know that engagement isn’t about a single moment. It’s a collection of moments that dictates your style. That’s why authentic and consistent kindness is a truly powerful thing. Your people know they can depend on you. Grow the ability to be nice without expecting something in return, or calculating the leverage you’re gaining. Kindness has to be habitual - authentic and firmly felt. Nowhere will this pay off more for you, and all those around you, than when the pressure is on. Delivering outcomes with kindness takes mindful, authentic leaders. Khoshaba believes that those with the capacity to feel compassion and appreciate suffering have a much greater footing for a favourable reputation – which translates to their brand. Here at #HR, we agree that kindness is a strength, often underestimated and easily undervalued. The effects may not be obvious or immediate. It requires biases to be put aside and a code of behaviour which is less about leverage and more about nourishing relationships. But we’ll let Branson have the last word. He’s used a few key philosophies in building his eight billion-dollar businesses, but one of them is running a large business the same way as a small one – by being responsive and friendly. ‘If you aren’t making a difference in other people’s lives, you shouldn’t be in business – it’s that simple,’ he says. The difference to make is a kind one – at every stage of the game. If you hired someone to be a senior executive in your retail business, you wouldn’t have them stacking shelves on their first day, would you? One national high street retailer did just that to a newly appointed senior manager, who spoke to us recently about his strangest on-boarding experience ever. The company was trialling a new initiative, he was told. Although his first day would be spent at head office meeting and greeting, the rest of the week was an ‘in-store experience’. For ‘in-store’, read ‘supermarket’. And for ‘experience’, read ‘shelf stacker’. Never mind the impressive resume which was a roll-call of well-respected retailers, and forget about the six figure salary he was on. This gentleman spent his first few days juggling the pet mince, shining the Granny Smiths and donning freezer gloves to replenish the frozen berries. His most fervent hope was that he didn’t have to follow the other newbies onto the check-outs. Each day he worked a respectable eight-hour shift, taking regulation tea breaks and wearing all the appropriate personal protective gear that came with the task – including the hairnet. Initially he felt quite up-beat about the initiative. By the second day he was questioning his career move. It was clear the rest of the intake was struggling too. Each day brought one less face at the morning briefing. With complete candour, he told me that it wasn’t about feeling demeaned or unstimulated. On the contrary, he met some great people and still pops into the store for casual visits. But the experience fell far short of adding value to his role within the company. ‘One size does not fit all’, he said. Maybe the company had its own agenda for leading their new corporate recruits such a merry dance in their on-boarding practice. Possibly the initiative was the result of an impressive thought-shower or blue sky session. Way cool. In the real world, it poses the question: how far do we need to go to get the most out of our new starters? 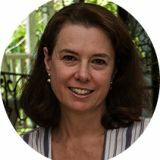 In her white paper on on-boarding, Professor of Management at Portland University Talya N Bauer asserts that an alarming fifty percent of all senior outside hires fail within eighteen months on the job. The on-boarding experience you offer a new executive or worker are critical in making transitions smoother – and resulting in better retention rates. While it’s less wacky, a natural blend of professionalism, compliance and branding is a pretty good place to start, for a healthy transition from a previous employer to a new one – and a longer turn round the corporate dance floor for all concerned. No one really expects fireworks on their first day. And you shouldn’t be looking to light up the skies. 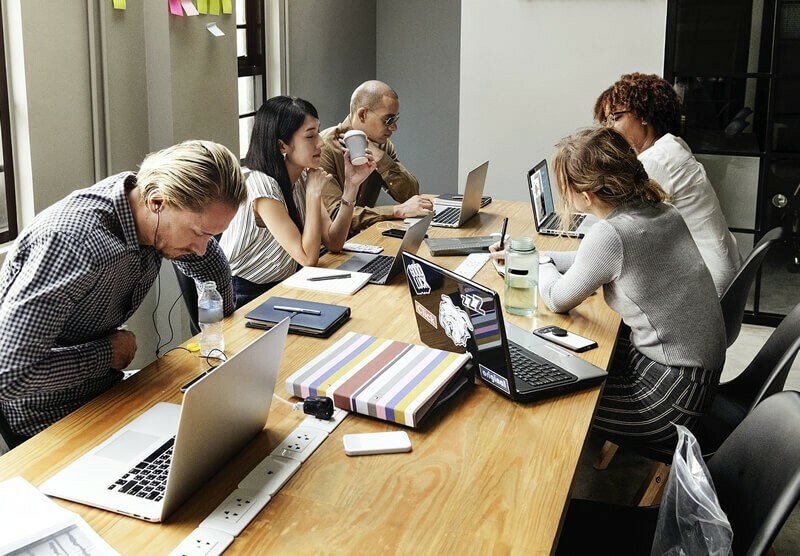 Following these few simple best practice principles helps promote new employee engagement, and adds value during this period where their productivity is inevitably a lot lower than it will be, once they’re in the swing of things. Set one! Think about when you need the new starter to be up to speed and on the job. This will help you plan the induction schedule and prioritise tasks. Locking a newbie in for back-to-back meet-and-greets might seem like a great starting point, but over-whelming them with a day full of names, technical detail and data really takes the shine off things. A start date should always be assigned to an empty calendar day in the line manager’s diary. That manager doesn’t have to be devoted to this employee for the entire day, but it’s always best to offer complete availability to the new starter. Things like hosting them at lunch and checking in with them regularly, go a long way. Play this by ear though: maybe they’d like a breather and some downtime over lunch. Give the new starter a floorplan - a candid sketch of all the important office stuff. Like who sits where, the closest printer and where the stationary cupboard is, the fire exits, and most importantly the facilities! Meaningful information gives the new starter their independence, to move around the office with confidence, and takes away the awkwardness of waiting around to ask simple questions. Provide an information sheet with payday details, IT passcodes and important email addresses like payroll and administration. You could even go the extra mile and add local eateries and coffee houses. Detail like this creates a big impact – it’s professional, it’s welcoming and it’s free! Think about the key players this person will need contact with. Who will they benefit from meeting on their first day, and who could wait until they have more time to settle in? Be strategic - less is sometimes more with these situations. Consider the benefit of scheduling meetings with key contacts when they have specific tasks to work on together. Of course, casual banter is just as important in these early days. But it’s more constructive and value adding if it follows a morning briefing. Let them eat cake and talk strategy! There is a very boring part to on-boarding, which should not be ignored or delayed. It’s the most formal part of the induction, the first few all-important steps of the employment journey. The new starter must be familiarised with your company policies, safety regulations, confidentiality requirements, harassment prevention and departmental procedures. 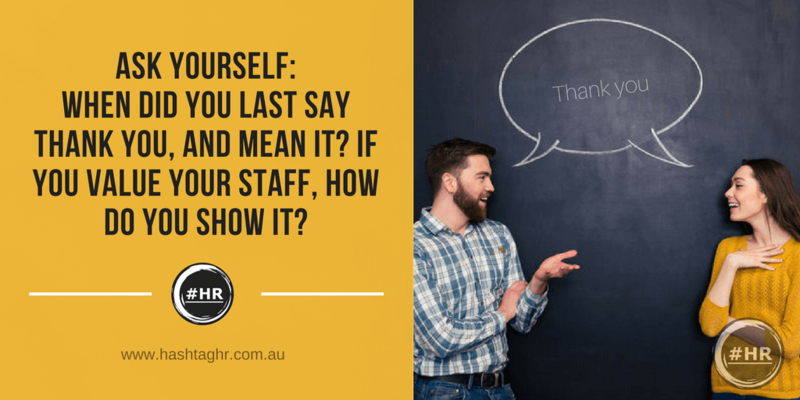 It goes without saying that asking an employee to sign off on their understanding and acknowledgement of this is paramount best practice. It’s also the time for you to answer any questions they have arising from compliance documentation. Later down the employment track you might be called upon to answer questions on how well this was executed, so best be thorough and concise, without cutting a single corner. This might just save you a buck or two in litigation or mediation costs - which are rarely budgeted for. You can bet your new starter has made some assumptions about you and your company before walking through the door. More than likely they have stalked your social media accounts, googled their new colleagues and possibly even driven past the office to check for parking, dress codes and true hours of operation. They might well arrive with a head full of pre-conceived ideas! Be transparent and candid from the onset. The way you interact personally makes all the difference. 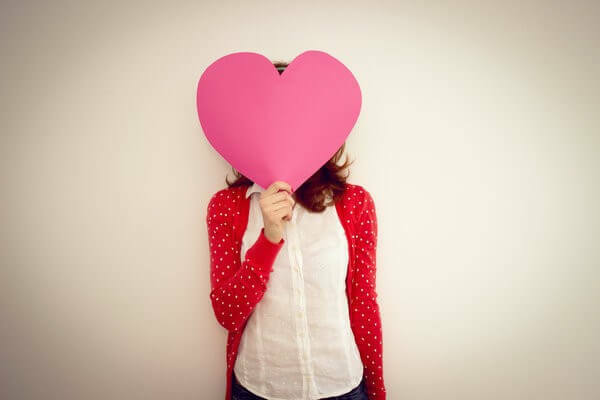 If you project well, they are more than likely to love your brand. Set the tone for open engagement. There’s no harm in chatting through company information they might already know, or their feelings about joining your team. Why not ask how they felt on their last day with their previous employer? Their answers could reveal the knowledge and energy they bring to the table and how seamless the transition might be into your workplace. Enjoy their company! As Samuel Beckett puts it: ‘Dance first, think later. It’s the natural order.’ Although we recommend you’ve done all your thinking in advance. Finally, the on-boarding process should not be complicated. Keep it simple, but meaningful. Sure, there are many cool induction initiatives happening in larger organisations, but they have the revenue to cover this process, where a small business typically does not. The lack of fireworks will be forgiven, if you can offset that with a nice balance of professionalism, compliance and branding! As we saw at the start, the kind of high kicks those larger corporations engage in might do you an injury anyway! Many years ago in my BC days (Before Children), I had a gold nugget moment with a good friend. We were discussing the inevitable shift that comes with being a stay-at-home parent. Flying around were phrases like ‘career suicide’ and ‘bottom of the ladder’. How we laughed at the folly of those who stopped scaling the corporate heights and went off-piste into the nursery. Ultimately, we decided that you don’t actually deliver your brain with your baby. But years later, as one moves back into the workforce after an extended period ‘out of the office’, it seems that your potential new colleagues appear to believe you did just that! As a society we talk a lot about gender equality and support for working parents. We have many services for outsourcing the kiddies, as well as in-house employment programs such as part-time roles, job sharing and flexible hours. This is a good thing – for those who want to get back into the swing promptly. However, there is a cohort that just doesn’t fit this profile – those who decide that sacrificing one income indefinitely is actually manageable. They want to enjoy being at home for longer - wearing clothes crusted over with banana, watching Playschool, going to baby yoga at the community centre. They leave their blossoming career for that other kind of labour, the kind that’s paid only in love. They do it because they want to. And they have no regrets. What happens to this cohort when they are ready to re-enter the workplace? Do they risk their professional credibility by taking a longer gap in service? Is there a fallout in their capacity to keep up with industry trends and technical developments? Has their career been sucked up the tubes like so much stray Lego? Unfortunately, being proficient at domestic duties isn’t a skill most employers are looking for. What happens time and again is a return to a junior role, and having to prove one’s worth on the job – all over again. So here are a few strategies to fit in between Kinder Gym and Kids’ Cooking Class – things you can do while ‘off the job’ which can look really favourable when you want to jump back in. When you’re in the thick of a career, you may not have the need or the inclination to join an industry body. Or maybe you do because it’s subsidised by your employer? Don’t hesitate to join an institute when you’re ‘out of the office’ and if you’re already a member, don’t even think about letting your membership lapse! Most Institutions offer discounted training seminars, events and regular magazines. Keep an eye out for the occasional course that you can fit into your schedule, or an article that takes you on a nice journey. Stay open to professional development during this time. I don’t mean posting images of your deliciously creamy latte or status updates from the park - these are important but best left for your personal account. Be smart, choose a platform and open a professional account. There you can follow chosen intellectuals, read interesting updates and re-post them to gain followers and fellowship. Set aside 5 minutes a day to check in or 1 hour a week to focus on your profile. It’s manageable, intellectually stimulating and best of all, free! The platform for staying connected. Keep abreast of any movements and changes in your industry. Congratulate your connections when they are promoted or make a move. Make a point of reading posted articles. Take the time to perfect your profile and keep it updated with any of those industry courses you’ve fitted in. Years down the track you will thank your clever self for staying current in this way. Yes, you can forge new connections outside of playgroup. Networking is a great way to do this and keep your skills relevant. If you can’t find a network specific to your industry in your local area, join a general business group that meets quarterly or biannually. That’s not hard to fit into a busy parenting schedule – and it will pay dividends. Sure, you won’t be representing an actual business, but keeping in touch and even offering valuable advice and recommendations to new business contacts keeps your mind engaged, and can be just as rewarding! In short, don’t throw the baby out with the bathwater, and don’t throw the brains or the career out with the baby either! See Less of Your Team - and Let Go the 'Face-Time' Mentality!